The Scottish Football Blog: Just the ticket? "All the lads really felt for the fans at the end of Saturday’s game, with most of them facing something like a six-hour drive home. Hopefully this will help them with the cost of travelling to our next away game at Fulham." Norwich captain Russell Martin announcing that the players would refund the ticket costs of all 899 fans who made the lengthy trip to see their side lose 3-0 at Swansea. A nice gesture from the Norwich squad. I've tried to avoid the usual social media pessimism that it might have unleashed - and I'll concede that a club with Norwich's away record might consider any grand gesture worthwhile to keep the fans on side for the crucial home games to come. It's not often you see anyone in football actually do something - however small - to address the sheer cost of being a football fan. Last month Hibs told me and everyone else on their ticketing database that season ticket prices were being frozen. Frozen but beginning to thaw out - last year a season ticket plus a cup top up cost me £405. This year it will cost £430 or £455 depending on when I buy. "Frozen" is either a lie or a touch of badly transparent marketing gobbledegook. Either way season ticket for me (an adult) and my dad (a senior) will come to £630 with cup top ups piling on an additional £40 or £80. Hibs released these prices with chat of a top six finish hanging in the air. Since then they've lost five games, conceded 13 goals, scored five, secured a single point and dragged themselves into a battle to avoid the play-off spot. So they've actually increased prices without guaranteeing that I won't be watching them in a lower division. The tyranny of habit means I'd follow Rod Petrie to Lidl. But I'd object to paying Waitrose prices when I got there. Later this month I'll be visiting St James' Park and Old Trafford for league games that can reasonably be described as bog standard. Two adults and a senior going to Newcastle and two adults going to Manchester United rack up a fairly sizable bill. I'm lucky enough to be able to afford it and unlucky enough to be stupid enough to pay it. But being daft and able to squander my cash doesn't make football's treatment of supporters right. Cheaper options are available. Lower division games with lower admission prices cry out for bigger attendances. But if your lifetime allegiance lies elsewhere then it's a difficult bond to break. The risk for club is that prices do break those bonds - and once broken they're exceedingly hard to rebuild. While they remain, however, emotional attachments make football an easier product to sell. There are variables. Kick off times, lifestyle changes, the success of your club and, for the aesthetes among us, the style of football among them. Sorting out your team on the pitch might be difficult but I've felt for a while that coming up with a ticketing structure that does more than take the piss out of loyalty should be possible. So far I've been disappointed. Maybe the traditional season ticket model is actually outdated, an income stream that depends on blind faith that has no place in a game that embraces ever changing kick off times and ignores how lifestyles have changes over the last 50 years. Thankfully brains more potent than mine are being applied to the problem. Do current football ticket pricing methods meet the needs of fans (in terms of value and ticket options) and clubs (in terms of revenue and ensuring a stable and loyal fan base)? How effective can dynamic pricing be for UK football matches (individual matches) when there is a "floor" set by the "season ticket average cost per game" beneath which you cannot drop prices without the risk of affecting season ticket sales (primary source of ticket income)? What could the impact of dynamic pricing be on supporter (customer) relations/goodwill? They want to find out if dynamic pricing might be the answer to some of football's pricing issues. 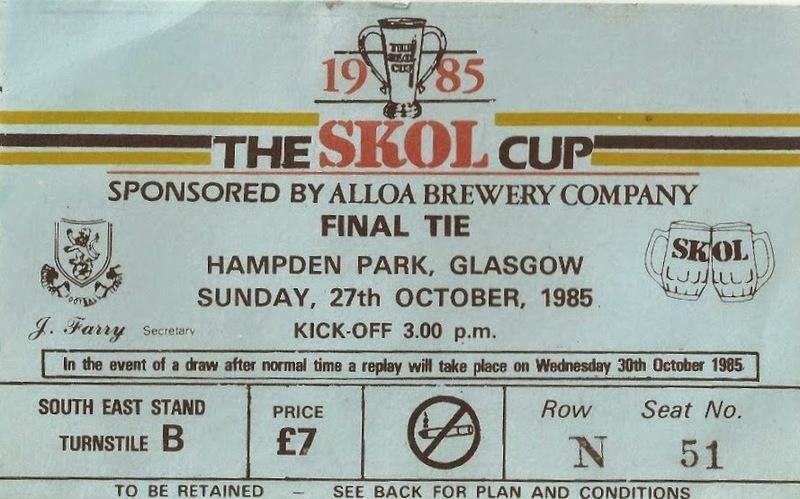 The idea that Scottish football's business model has long since gone to the dogs is nothing new. But maybe, with the right people asking the right questions, we might just be closer to a solution than we think.